He is able to present the information in a clear and fun way. Always has the attention of his students. I’ve moved from teaching small classes (15 students) to large ones (700! ), and from small colleges (Goucher College and Grove City College) to three of the biggest in the country (Penn State, University of Kentucky, and now University of Arizona). However, I try to think of a lecture hall like a small class instructor. 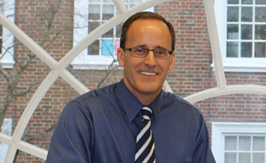 I encourage interaction with students and enjoy classroom activities that involve everyone in the course. 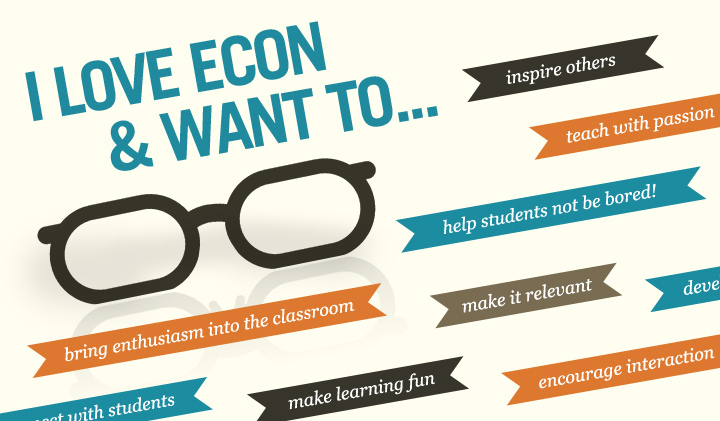 Teaching economics effectively requires passion. Students can tell if you care about the subject matter, so you have to bring enthusiasm to class each time you enter the room. I hope to share some of that passion with you, and I am eager to help students learn and teachers teach. I was born in Summit, New Jersey, went to high school near San Diego, and went to college in North Carolina. I taught high school math and science for two years in Virginia before going to Florida State to work on a Ph.D. in economics. When everything goes right, the classroom is magical place where faculty and students come together to gain a common understanding of the way things work. Teaching large classes (and being in a large class) can be thrilling. Large classes are a lot like sporting events and concerts. If you’ve felt the roar of 100,000 fans at a stadium or laughed in unison with 400 moviegoers at a funny line you know what I mean. But just because I teach large classes at University of Arizona does not mean that I am a large class instructor. Classrooms work best then you think about how to manage the course like a small class instructor. I remember what it is like to be a student. I lay out a series of expectations in the syllabus for my courses that are student-centered. The expectations include my policy on attendance, homework, answering questions, how to reach me, the posting of exam scores, and student conduct. It is important that students understand that you are their advocate, and that you are there to help them to learn the material.